“At some point in time, we have to play better football … we’re still making the mistakes we shouldn’t make to beat good football teams like the Rams,” Elway told Orange and Blue 760 radio. “(It’s) disappointing, that’s for sure. With fans up and down the Front Range clamoring for Denver head coach Vance Joseph to replace ineffective quarterback Case Keenum (seven touchdowns, eight interceptions) with untested Chad Kelly, the Broncos could make life easier for their No. 1 QB with a more balanced offensive attack. Denver threw the ball 41 times in last week’s 23-20 loss to the undefeated Los Angeles Rams while running it only 17 times. The Broncos appear to have the horses to run the ball in rookie Phillip Lindsay and Royce Freeman, who have combined for 618 yards and four of the team’s six rushing touchdowns while averaging 5.2 yards per carry. Denver could also lend Keenum a hand by not allowing Arizona’s David Johnson to rush for 200 yards. The Jets‘ Isaiah Crowell totaled 219 on the ground in New York’s 34-16 victory in Week 5 while Todd Gurley II lit the Broncos up for 208 on Sunday. Chubb had a breakout performance with three of Denver’s five sacks last week. Chubb, the fifth overall pick in the draft, is emerging as a forceful complement to Miller as he gets accustomed to playing in the NFL. Arizona’s issues do not stop on defense as offensive coordinator Mike McCoy has been under pressure and there seems to be an imminent chance of him getting fired for the second straight year near the midseason mark, just as he was last year in Denver following a 3-7 start. Not that he’s apparently hearing any of the regular calls for his head, however. 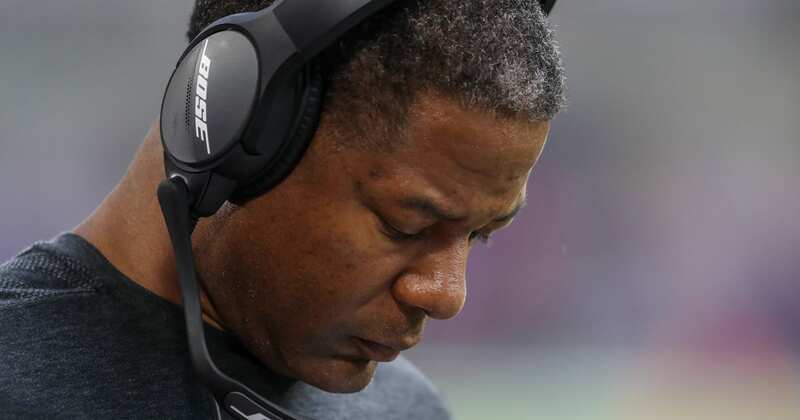 “I would say all our jobs are in jeopardy, including mine if we don’t win,” Arizona head coach Steve Wilks said when asked if McCoy’s job was in jeopardy.